This sounds like a perfect summer dessert, especially with the 4th of July this week. This would look fabulous on any picnic table! A beautiful tart made by Liz of That Skinny Chick Can Bake. Thanks Liz! 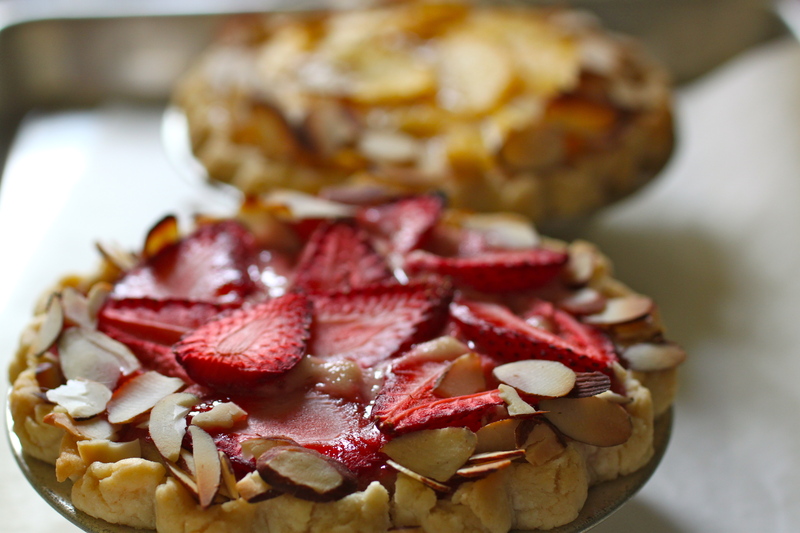 Alisa of Easier than Pie sent us her strawberry topped beauty, as well. Thank you, Alisa! Mine will be live after midnight tonight. Thanks for featuring my photo!!! This will be live at midnight as well! Delicious! Sorry but this month I won’t probably have time for baking along. I’ll try to make my best to catch up – but first I need to enjoy the holiday! 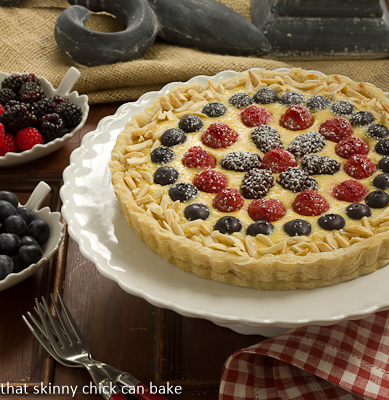 I’ll think of all of you and your beautiful tarts. We just moved and my kitchen is in boxes! I will make this and post on it and the tomato and cheese galette ( which I have made but not been able to post yet) very soon! I can’t wait to see what everyone thought of this tart! looks good! I totally skipped this one. But, I’ll be making the vegetable tart on thursday for a potluck! Not my favourite, but happy with the end results. I took June off, but I’m so glad to be back! We have always liked this one. I used red currants and wild blueberries for this lovely baked yogurt tart. I’ll try this again. I posted it this morning, but I don’t see it! My Cheese and Tomato Galette post will be up soon, too! Not sure where else to put this, so I’ll put it here! Perfect 4th of July treat, on a hot day a wonderfully light dessert.